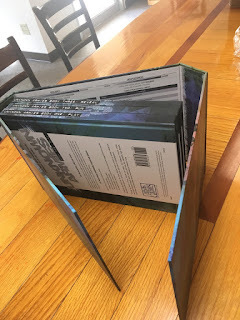 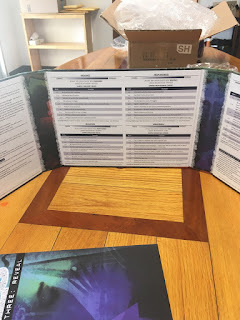 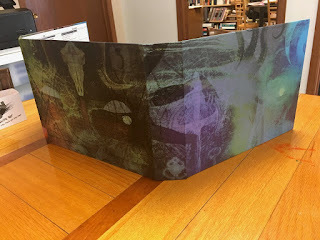 One of the best things about publishing is seeing all of the hard work of designers, writers, editors, artists, graphic engineers, and printers come together in the form of an actual physical product. 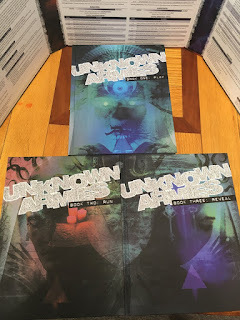 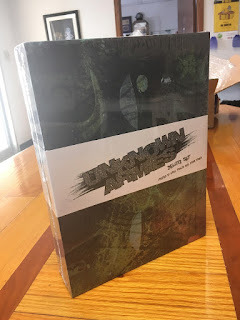 Regent of China shipped us a single copy of the Unknown Armies 3 Deluxe Set to review before full scale production and shipment happens, and we took a few photos. This is the exterior of the Deluxe Set with slipcase, shrinkwrapped, and all three volumes included in hardback. The slipcase unfolds to become a landscape oriented game master screen, with all the charts and tables you need during play. 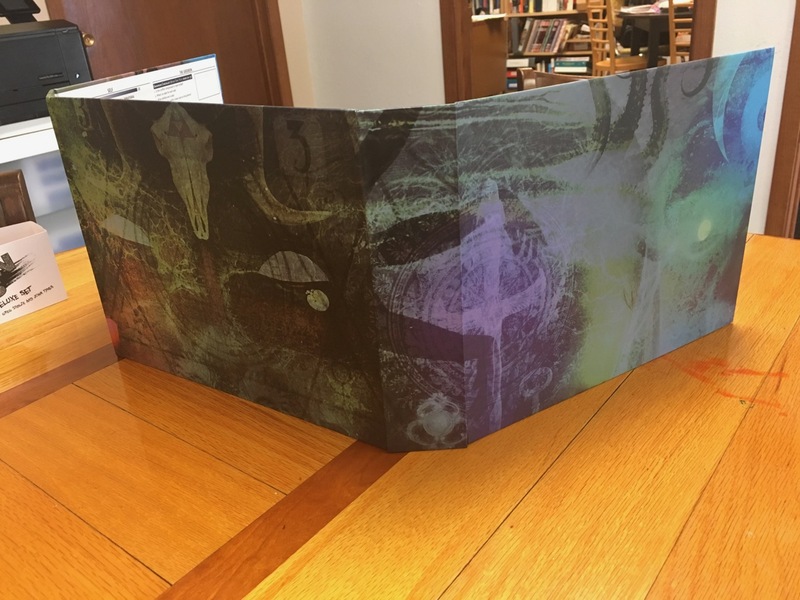 It turns back into a slipcase with ease (and a magnetic clasp). 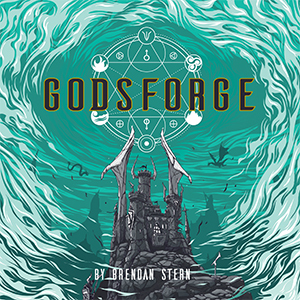 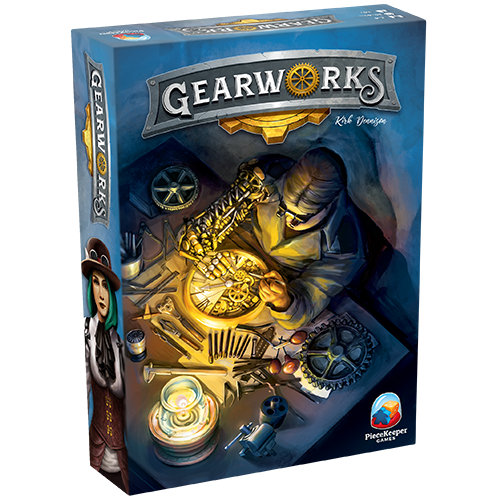 Players can enjoy the gorgeous cover artwork of Jason Engle and Aaron Acevedo. Incidentally, when you take all three books and line them up in a triangle, the art forms a triptych image! 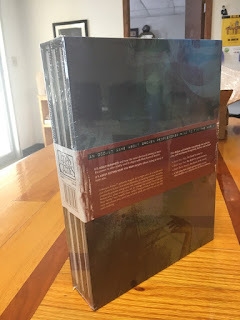 Finally, the books themselves are high quality, sturdy, and gorgeous full-bleed photo-illustrated casebound volumes. 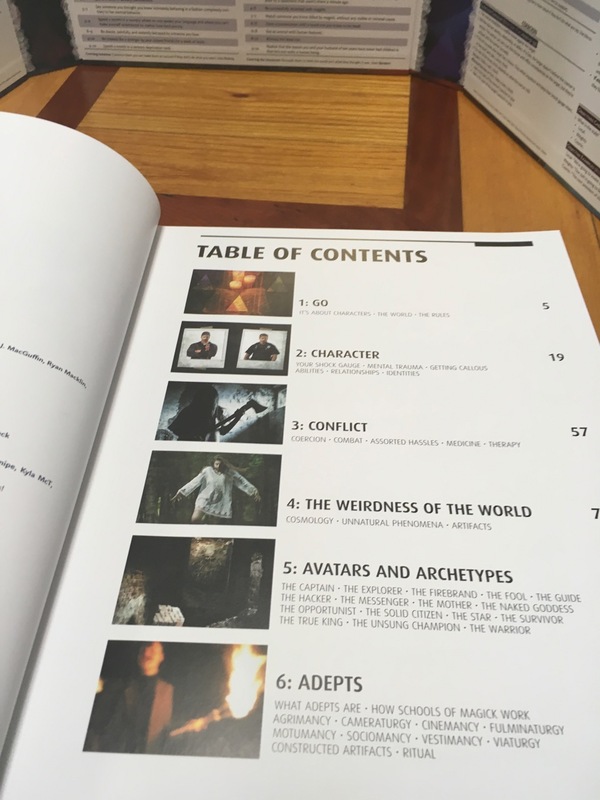 Thanks to the layout skills of Thomas Deeny, the table of contents, chapter splash pages, and trade dress all works together. 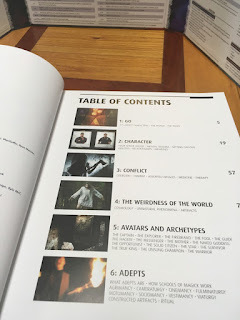 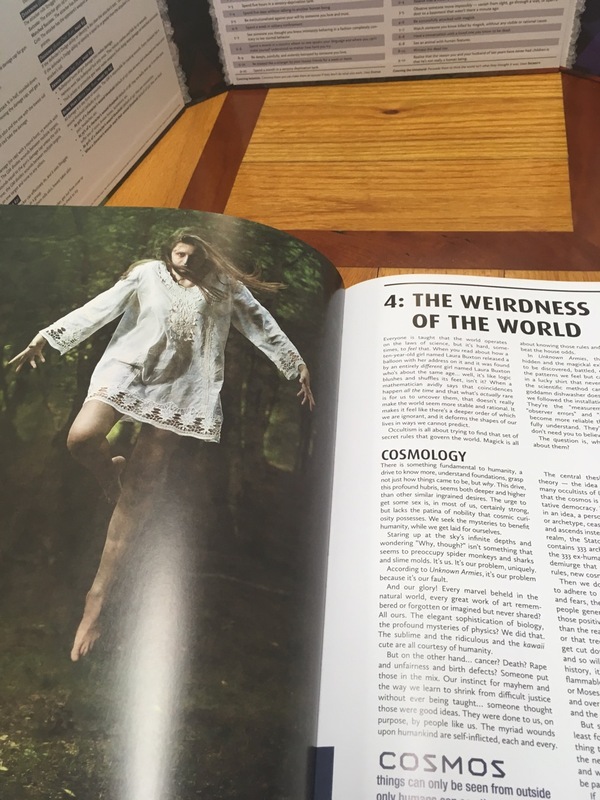 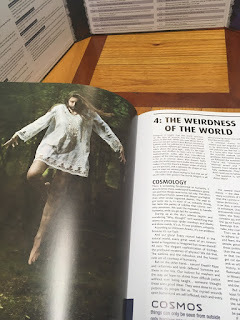 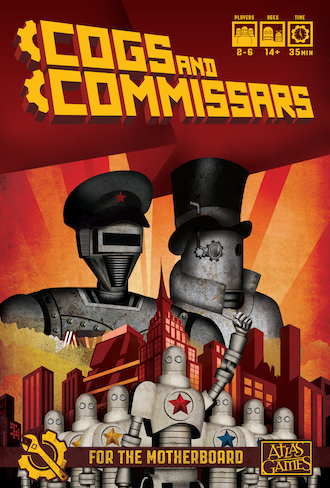 We can't wait for the thousands of Kickstarter backers to get their own print copies in April. Retail stores should see orders filled at the end of April and early May. If you can't wait, and you didn't back the books last year, our pre-orders are still open!